Model 240 utilizes the cooling, soaking and penetrating effect of a 45-55 ft. stream of WATER. The 50 sec. discharge time makes it very effective for inexperienced operators for use on Class A fires. Protect from freezing by adding the Model 506 Loaded Stream/Antifreeze charge. In areas with a high level chloride content water, it may be corrosion protected by using the Model 507 charge. 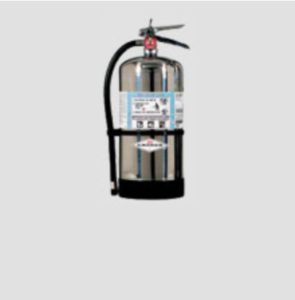 Model 254 AFFF FOAM unique 6 liter size fills many requirements for a lighter more compact Class A:B extinguisher. Easy and effective application with the patented spray nozzle. Apply to class B liquid spills to prevent ignition. Ideal for emergency first response vehicles. 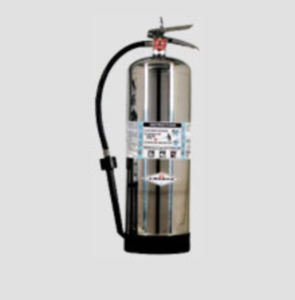 Model 252 FFFP FOAM adds class B fire fighting capability to the class A effectiveness of this extinguisher. 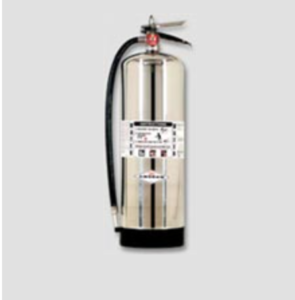 The Alcohol Resistant fire fighting agent is effective on fires in a wide variety of class B materials such as alcohols, polar solvents, hydrocarbons, and combinations such as gasohol. Apply to a non-ignited class B liquid spill and it will seal the surface minimizing the chance of serious fire.